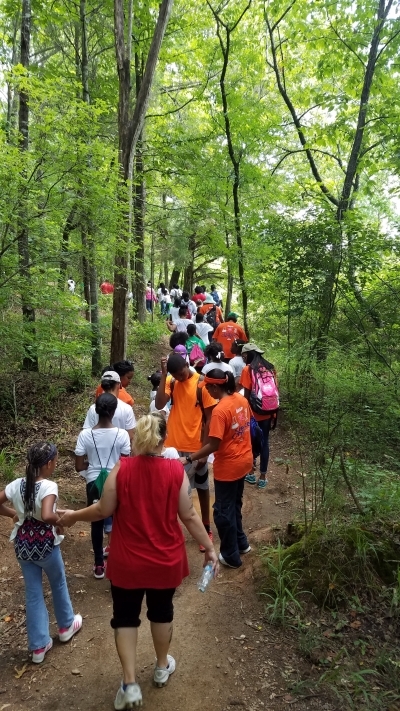 Chewacla State Park has eight hiking trails in varying degrees of difficulty that cover the mountain range to the picturesque 30-foot Chewacla Dam Waterfall. A mountain bike trail and tree identification trail are also included in the park's trail system. Location: Natural surface trail system covering 5.8 miles within Chewacla State Park near Auburn, AL, in east-central Alabama. Take exit 51 off I-85 at Auburn and travel south on US Highway 29. Turn left onto County Road 674 and continue to Shell Toomer Parkway. Park entrance will be on the right. 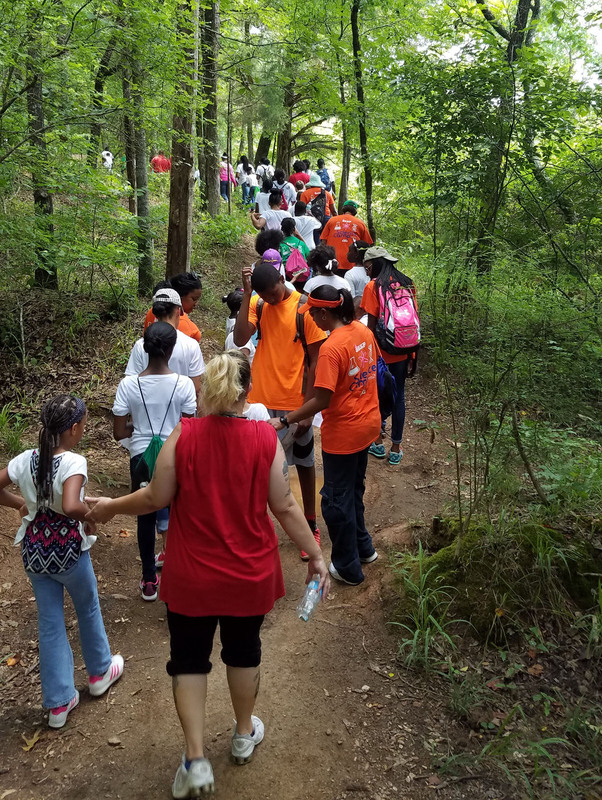 Located in Lee County just four miles south of Auburn, Chewacla State Park's tranquil park facilities and plenty of recreational opportunities make it the perfect choice for a family daytrip or a solitary hiking experience. Chewacla State Park's 696 scenic acres offer plenty of rest, relaxation and recreation just a short drive from the Auburn-Opelika area. Facilities include a 26-acre lake, swimming area, playground, hiking trails, a modern campground, picnic areas with tables, grills and shelters, and newly renovated cabins. Nearby Auburn University makes Chewacla a great place to stay on football weekends or when visiting the kids at school. Lake Chewacla is perfect for reeling in bream, bass, crappie and catfish or taking a dip off the beach area. No luck in the lake, then try one of the park's two creeks. There is no boat ramp on the lake, but visitors are allowed to bring their own small non-motorized watercraft such as canoes or kayaks if they can be hand-launched from the bank. In the 1930s the Civilian Conservation Corps built six stone cottages in the park, which are available for rental year round. The cottages have been recently renovated and today feature hardwood floors, stone fireplaces, beautiful new bathrooms, modern kitchens and televisions. Each has central heating and cooling so your stay will be comfortable no matter what time of year you visit. Linens are provided. If you prefer roughing it the park also offers 36 full hookup camping sites and 15 primitive sites. Shower facilities are available in all camping areas. The park has eight trails to choose from for those looking for a more vigorous visit. 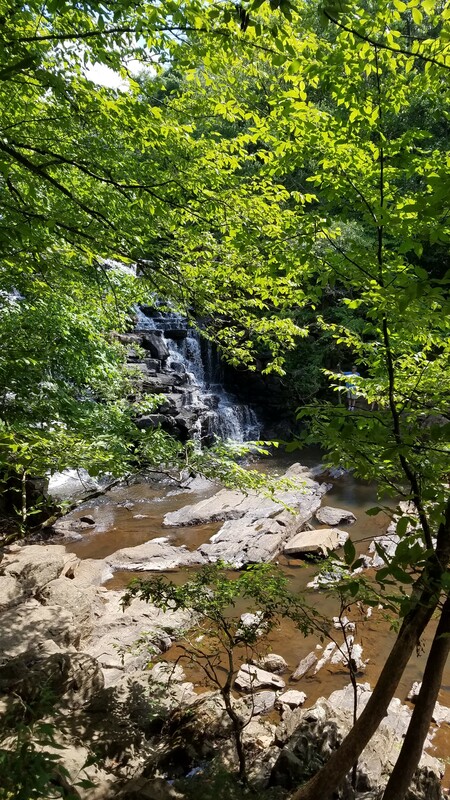 Options range from the short interpretive Sweet Shrub Trail to the more challenging Mountain Laurel Trail, which takes you by Chewacla Falls. While on the trails visitors are likely to see squirrels, chipmunks, red fox, deer and turkeys as well as unique rock formations and a variety of native trees and flora. Other area attractions include: Surfside Water Park, historic downtown Opelika, the Tuskegee Airman National Historic Site, the Julie Collins Smith Museum of Fine Art, Auburn University, and plenty of retail and restaurant options. Guided hike to the waterfall. Photo by Tasha Simon.